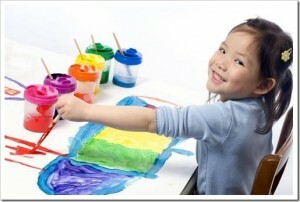 Children usually learn about color during their preschool years. The ability to identify colors is considered a marker and milestone in a child’s cognitive process and is often part of early screening for development and educational admittance. Recognizing the colors and identifying the color names is an important part of a child’s development. Early identification of colors helps to create the cognitive link between visual clues and words. Children need to first acquire informational pieces before they can begin to understand color as a concept. It might seem simple as blue is blue, before the concept of color is understood. Children don’t have the ability to understand that light blue and navy are both blue and they also lack the verbal skills to explain that to you. Along with learning what each color is called, children need to understand what color represents; it’s not size, nor shape, nor the name of the object, nor the texture, not the number of things showing. Constant repetition and expanding on what colors are and what they are not will help any child understand what the actual word color means. After that, teaching colors to children is usually easy. Children are naturally attracted to bright colors, which is why most toys and activities geared towards younger children, including toddlers and babies, are brightly colored. During the preschool years, children have a natural affinity to understand their world around them. Surrounded by a world of color it is easy to use daily opportunities to discuss colors. Of course, since teaching color recognition to children is so important, there are many tools that can be used by parents and educators alike to help children learn about color. There are numerous children’s books to teach children about color form. The “chunky books” such as the “Happy Baby” series that usually mark a baby’s first “reading” experience, are books that are very educationally minded. Like toys geared for children, children’s books are a natural opportunity to not only teach children the differences between the colors and to identify them, but to also forget that connection between the written words and the colors they represent. The best children’s books to teach color combine a child’s interest, with a great story, and colorful illustrations making reading experience completely enjoyable. Children’s Book Guide.com has a great list of children’s books that will provide many opportunities for parents and educators to teach color to children without them even realizing that a lesson is at hand. 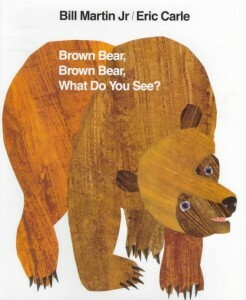 One of our favorites from the list is Eric Carles’ “Brown Bear, Brown Bear, What Do You See” Considered a staple in many a preschool classroom, this classic has been a must have for children learning about color since its publication as Carle’s first illustrated children’s book in 1967. Republished in 2007, “Brown Bear, Brown Bear, What Do You See” is not the only one of Carle’s books that can be used to teach children colors. Known for his creative use of collage in his illustrations, Carle’s books go past a more generic use of flat colors, and allow children to experience nuance, patterns and a range of shades all in one color. Along with books, many games use color in part to make them attractive to children while teaching them about color. The classic children’s game, Candyland, is often a child’s first board game because of its use of color. Naturally appealing with its sugar coated fantasy, the board game doesn’t use a counter or dice, but color cards that dictate the child’s next move on the board. Along with color matching, Candyland also teaches counting skills, strategy, social skills and spatial reason to young children. 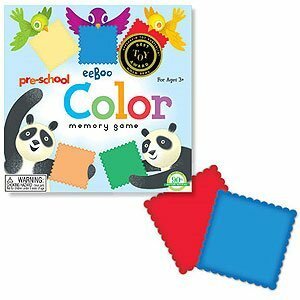 Color matching memory games are another way to induced color learning to children with a game. Based off the typical matching game of remembering where two like cards are to make a pair, preschool children have to compare colors and match the same ones together to win. Another game geared towards teaching child to match colors is dominoes. By removing the dots that require counting and increasing the size, Jumbo Color Dominoes. Since learning colors is such an important part of every child’s early education, schools and parents often turn to the more educational minded color flashcards. Color flashcards run a range from just focusing on color to inducing the words along with color as pre reading skills. 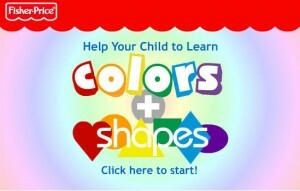 Often color flashcards use shapes and teach basic counting skills along with color recognition. There are many different kinds of flashcards geared towards teaching children about color. They can be purchased directly, downloaded and printed form online sources, or crafty parents can even make their own with color card stock. While so many of the tools used to teach children about colors are “classic” the internet and online games have also provided excellent opportunities for children to learn about colors. Some online color education tools focus on specific color skill like color recognition, matching and color concentration and might require the child to have some reading ability. Other’s such as Fishers Price’s Color and Shape game plays more like an interactive video and requires the very basic computer skills. Of course, since color is a part of everyday life, there are many opportunities to teach children about color during every day living. One way to teach children about color is to pick a new color each week and completely focus on that color with your food choices, activities, etc. So, no matter what color you pick for the week, enjoy bringing the beauty of color to a young person while you teach a child about color. Do you have a favorite book or game that teaches color? We would love to hear your recommendations. Lovely and exciting games for early learners. Thank you for this article, i have two toddlers that are struggling to learn colors, numbers and alphabet. Yesterday I watched a video teaching kids how to identify colors, i was happy because my kids were with me, and joined in watching the video. It was very interacting and my kids followed along easily. I will encourage every parent to introduce this type of educational videos to their kids. here is the channel where i watched the video from, https://www.youtube.com/channel/UCAFxK1NryI_B1mO9IX-Swig hope this will help someone. Great article! Here you will find colorful, educational videos for babies, toddlers and preschool children. The bright colors in all videos allow faster and easier learning and remembering. All play-and-learn activities and all favorite children’s characters give a lot of fun and ideas to the whole family to get active together: http://brightcolorstv.com/ It’ll be easy to learn colors and the alphabet, learn to count and learn animals names and sounds. Enjoyed the article, but you may want to proofread it. There are four typos in the last section. I think the kids like the colours very much because the colours are our life. They like colourful toys too. Colour to children is like breast milk and depriving a child from colour is like depriving a child food to grow.